LIKE THE LEGENDARY PHOENIX BIRD FOR WHICH IT IS NAMED, THE CITY OF PHOENIX IS ON THE RIDE. IT IS ONE OF THE FASTEST GROWING METROPOLISES IN THE UNITED STATES. RANKED THE SIXTH LARGEST CITY IN THE NATION, IT HAS 1.3 MILLION RESIDENTS. 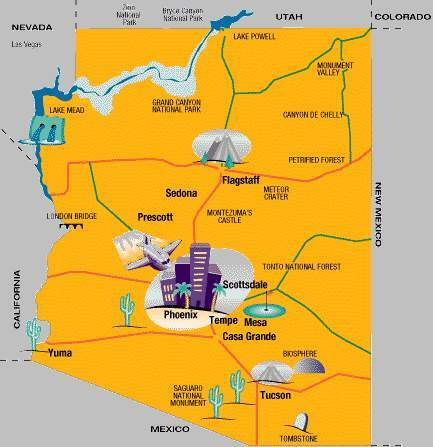 THE GREATER PHOENIX AREA BOASTS 22 INCORPORATED CITIES INCLUDING SCOTTSDALE, TEMPE AND MESA, AND ENCOMPASSES 2.9 MILLION RESIDENTS. THE TOTAL LAND AREA IS MORE THAN 2,000 SQUARE MILES. BASED ON ARCHEOLOGICAL EVIDENCE, THE EARLIEST INHABITANTS OF THE AREA WERE THE HOHOKAM INDIANS. THOUGHT TO BE ANCESTORS OF THE PIMA INDIANS, THE TRIBE FLOURISHED IN THE REGION UNTIL APPROXIMATELY 1450 AD, WHEN IT SUDDENLY VANISHED. IN THE PIMA LANGUAGE “HOHOKAM” MEANS “THOSE WHO HAVE GONE”. The present city of Phoenix was founded in the second half of the 19th century. In 1867, Jack Swilling of Wickenburg stopped to rest his horse at the base of the White Tank Mountains. Looking across the Salt River Valley he visualized an expanse of farmland if he could bring water to the area. To do so, he organized the Swilling Irrigation Canal Company and established a settlement. A canal was built to divert water from the Salt River and irrigate the land for farming. It was Darrell Duppa, a member of the new settlement, who suggested that the town be named Phoenix. It was predicted that a great city would rise up from the ancient Hohokam ruins like the Phoenix Bird from Egyptian Mythology that lived in the Arabian Desert for 500 years before consuming itself in fire and rising, renewed from its ashes. Today, Phoenix is a modern metropolitan city. In 1993, the Carl Bertelsmann Foundation selected it as the “Best Run City in the World”. It has year-round sunshine (300 sunny days per year) and mild temperatures that average 72 degrees Fahrenheit. It is home to more five-star diamond resorts than any other location, and there are more than 190 golf courses in the Greater Phoenix Area. 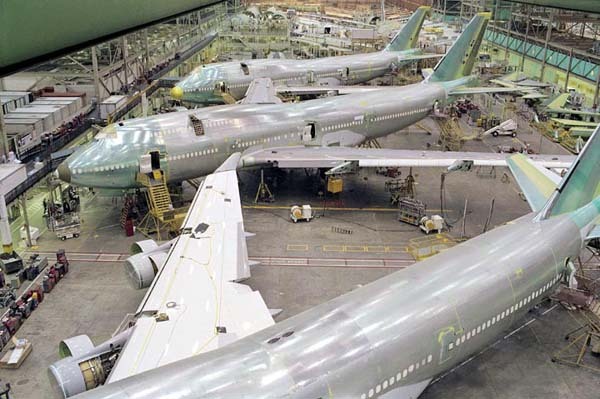 The major industries are electronics manufacturing and tourism. Phoenix has now surpassed to Silicon Valley as the computer chip manufacturing capital of the world. The city’s rise has been closely paralleled by the growth of Phoenix Sky Harbor International Airport (http://www.phxskyharbor.com). This relationship has been consistent since the airport’s establishment in the late 1920s. The setting is the “Roaring Twenties” an era of risk takers, thrill seekers and heroes. Flappers are in , jazz music is flourishing, and art deco is the architecture, Colonel Charles Lindbergh, flying the Spirit of St. Louis had just completed the first nonstop solo flight across the Atlantic. It is labor day 1929, and 278 acres of real state that had been Arizona cotton fields became the site of a new airfield. 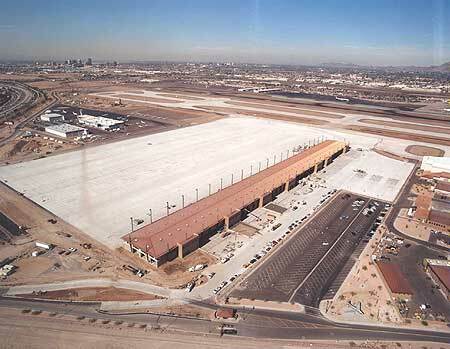 This was the official beginning of Phoenix Sky Harbor Airport. A few years earlier. J. Parker Van Zandt, president and general manager of Scenic Airways, had been asked to find, purchase and develop a suitable site for Scenic’s Phoenix operation. The airline hoped to fly tourists to the Grand Canyon and other scenic attractions in the Southwest. Sky Harbor’s first flight actually occurred on November 18, 1928, when a Scenic Ford Tri- Motor carried passengers to the opening of the Rocky Point Fishing Club, in those early years, the airport was nicknamed “The Farm”, and it was not unusual for pilots to buzz the field in order to clear the runway of grazing cows before landing. On August 5, 1929, Standard Airlines inaugurated daily service between Los Angeles and El Paso using Fokker trimotored F-10s. The fleet consisted of three aircraft, each named for one of the states that the airline served, Arizonian, Californian and Texan. Standard was later absorbed into American. Later that same month, the All Women’s Transcontinental Air Race (The Powder Puff Derby) used Phoenix Sky Harbor as its first overnight stop during the 1929 race. Pilots competing in the race included Amelia Earhart and Pancho Barnes. It was in this time frame that a young 20-year-old-radio operator began to pursue his love of flying. That fledgling aviator was Barry M. Goldwater, who would become a U.S. senator from Arizona, U.S. presidential candidate and major general in the Air Force Reserve. More than 60 years later, he would be the guest of honor at the dedication of the Barry M. Goldwater Terminal 4 at Phoenix Sky Harbor International Airport, on November 2, 1990. The financial debacle that brought the Roaring Twenties to a close was to be felt all the way to Arizona . When the stock market crashed on October 29, 1929, Scenic Airways crashed with it. 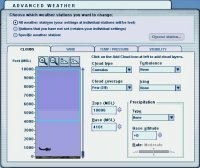 Investors from the East were a that funding for the carrier , and when that funding evaporated Scenic was forced to liquidate the company. In February 1930, the Acme Investment Company purchased Sky Harbor. In the early 1930s, Phoenix was one of the stops on the ‘fair weather” southern transcontinental air route. On October 15, 1930, and American Airways Fokker F-10 arrived, with the first airmail. The Pony Express was now a vestige of the Old West. It was during this period that Wiley Post in his famous Winnie Mae Visited Phoenix. In 1933, Copperclad Airways was founded. Copperclad was responsible for turning on the beacon, boundary and obstruction lights at night. Occasionally, they would forget to turn the lights on. When a transient aircraft arrived over the airfield at night, the pilot would throttle the engine back and yell “Lights”! to get a line boy to wake up and turn the floodlights on so that the plane could land. There was a $5 charge for this service. Federal grant money made it possible to build a triangular, three-runway system at Sky Harbor in 1934, with one 4,000 foot and two 3,500-foot runways. By the following year, the Acme Investment Company was experiencing financial problems, and its managers where no longer interested in bearing the expense of maintaining an airport. To assure that Phoenix would not lose direct passenger and mail service, the city of Phoenix purchased Sky Harbor Airport, on July 16, 1935. Two years later, Sky Harbor put out the welcome mat to air travelers desiring to take advantage of quick marriages. Unlike states such as California, Arizona had no legal waiting period to get married. It was hoped that movie stars and entertainers would fly to Phoenix to tie the knot . Acquiring a 100-year-old-bell that originally hung in a Phoenix church, the local Jaycees sponsored construction of a wedding chapel. A quaint Spanish mission-style-chapel and bell tower was built in front of the terminal building on the north side of the field. Although only 42 weddings were performed there, the publicity gimmick brought Phoenix national recognition. The Chapel was taken down in the 1940s, but the bell was preserved. Today it can be found near its original location on what is now the patio of the Left Seat Restaurant. In 1938, Transcontinental and Western Air Inc. (TWA) started daily service between Phoenix and San Francisco. On hand for the inaugural flight was Jack Frye, the president of TWA, who possessed the first pilot license issued in Arizona. By the end of 1940, the airport had expanded to 320 acres with one paved 4,000 foot east-west runway. A control tower was built on top of the main hangar a year later. With the start of World War II, the Civilian Pilot Training Program was begun at Sky Harbor. In the 1942-1944 time period, the U.S. Army Air Force used the airport as a refueling point for aircraft being ferried to training bases or combat areas. In 1946, the runway was lenghtened to 5,238 feet in anticipation of newer and larger airliners such as the TWA Constellations and American Airlines DC-6s. Even in that year. Sky Harbor was one of the busiest airports in the country with 31, 733 takeoffs and landings in December, making it the busiest in the country that month. By the end of the 1940s, the original terminal and related facilities on the north side of the field could not keep pace with the burgeoning demands of commercial air travel. A new master plan for the airport was unveiled in 1949. Three years later, on September 13, 1952, a new terminal (later to be know as Terminal 1) cost $835, 000 plus $108,000 for the uniquely designed control tower. The tower had a cylindrical base 9 feet in diameter that was made from several gasoline storage tanks, welded one on top of the other. The base was insulated with cork. All the wiring for the tower cab was encased in a 3-foot-diameter pipe that occupied the center of the cylindrical base. There was no provision for an elevator so the controllers had to climb 129 steps to get to the tower cab. So unusual was the design that farmed architect Frank Lloyd Wright referred to it as a “most magnificent structure of unique design”. In addition to the new passenger terminal and tower, the old triangular runway system was replaced with two parallel 7,000-foot east-west runways. On November 1, 1952, The Arizona Air National Guard arrived at Sky Harbor. Flying F-51 Mustangs, the unit moved into a newly constructed Air National Guard Base. During the years that followed, airport growth continued. Western Air Lines began flying to Phoenix in 1957, adding to the service already provided by American, TWA, Bonanza and Frontier, American Airliners became first with jet service at Sky Harbor when it inaugurated Boeing 720 flights to Chicago and New York in 1960. TWA introduced Convair 880 service to Phoenix on Flights to Chicago and Los Angeles early in 1961. Having outgrown Terminal 1, the airport added Terminal 2 in April 1962. The expansion would keep pace with the jet age throughout the decade. The new International Arrivals Building at the east end of Terminal 2 was dedicated on January 17, 1972. The name of the airport the officially became Phoenix Sky Harbor International Airport. On April 24, 1973, the executive Terminal was opened to handle the growing needs of general aviation. It was also in 1973 that American began Dc-10 service and TWA began L-1011 service to Sly Harbor. Steady growth at Sky Harbor continued into 1978, when the Federal Airline Deregulation Act went into effect. The first carrier to take advantage of the milestone at Phoenix was Braniff International, which began service to Phoenix from San Antonio. Delta and Eastern joined the other carriers serving Sky Harbor a year later. 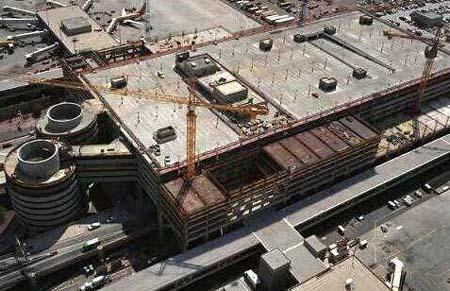 To accommodate the new flights, Terminal 3 was completed in October 1979, adding 16 new gates. The year 1982 saw the greatest number of carriers moving into the Phoenix market. New entrants included AirCal, Alaska, Pan Am, PSA, Southwest and Us Air. Only one year later, a brand-new airline was formed and based in Phoenix . With an initial fleet of three Boeing 737-200s, American West Airlines commenced scheduled passenger service on August 1. 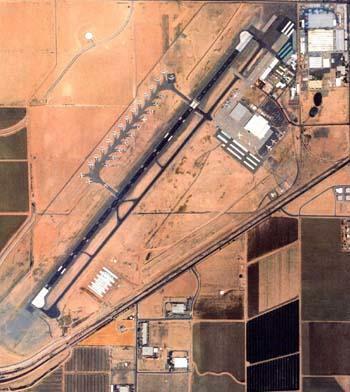 The Barry M. Goldwater Terminal 4 was officially dedicated on November 2, 1990. With more than 2 million square feet, five concourses and 52 gates, it was designed to handle air travel requirements beyond the turn of the century.